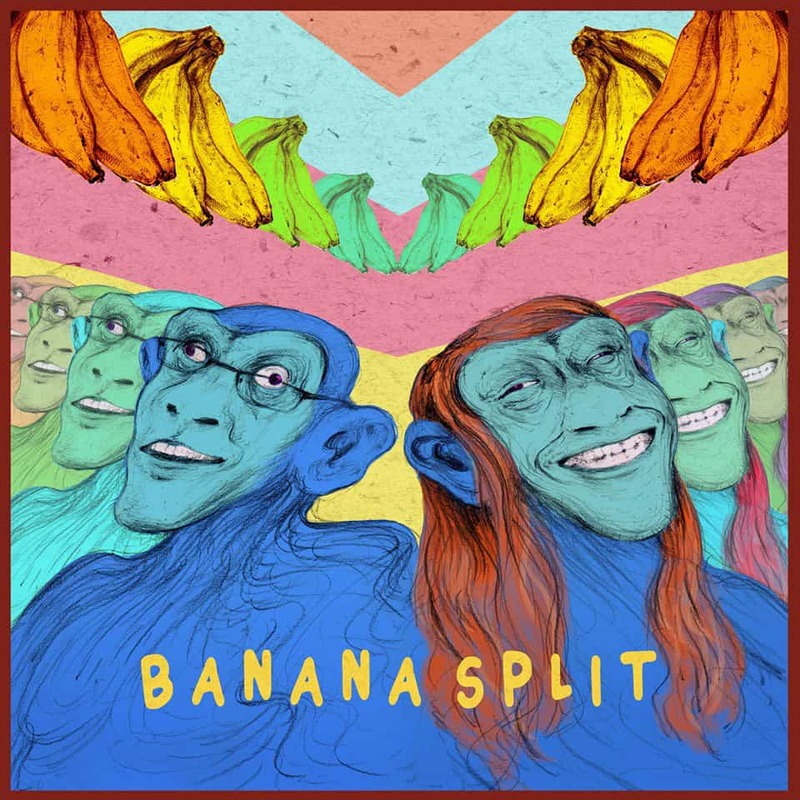 As the collaborative work of two great one-man projects on their own, namely Blumen and With a Smile, this Banana Split EP should be very nearing perfection! Blumen’s “Press 1 for Music” was released in 2015 and presented something fresh in the modern prog scenery. As for With a Smile, I didn’t have the chance to be acquainted with it prior to this collaboration, but I quickly realized my misfortune when I played their “Never Listen” EP, which is a welcome addition to my regular playlist. The Banana Split is three songs long, the first of which is a composition from Blumen, while the last two are from With a Smile. The two musicians recorded their respective instruments on all the tracks, with the help of a few guests, and finally the album art is from Theo Young, whom you’ll remember as being another talented musician! Upon pressing play, you’re right away launched into the depths of crazy rhythmic patterns and jazzy chords with interesting progressions from one to the next. Then, the main theme for Alalia is played on genuine strings, a viola would be my guess, but I might be wrong. After that, we’re thrown left and right with various themes and sections. I like that part very much as it lets you have a preview of what’s to come while preparing you for the next part: a very heavy section with double bass drums and we can really feel the metal in there. It all gently fades away after a short while, as the light piano notes and gentle drums go hand in hand in a decrescendo, a release of tension. Finally, we’re reintroduced to the main theme with interesting variations, and right about now you probably have a simian grin on your face! This opening song is amazing and, as I said before, refreshing. We’re a third of the way in, now, and you know what to expect from the rest of this EP. Well… there are still a few surprises along the way: vibraphones, guitars, and harp, among others! Although a bit more straightforward than Alalia, With a Smile’s side is still very good, interesting, and perhaps more emotional. I’ve only too rarely come across modern prog rock bands this good that remain, for the most part, on the lighter side of music. Their focus on the piano makes them stand out even more, in this sea of guitar-obsessed musicians and bands. Having diversity is great! In the end, the Banana Split EP is a really good and fun listen. I’d personally prefer if it had kept the eccentricity of the first track throughout it all, but still this is very much deserving of your attention.